This chicken has nothing to do with moonshine. But that sounds cool, right? It’s also the name of the restaurant where I first tried this amazing combination and have been meaning to recreate it for some time. Alas, the other night, I finally did. But I’ll let you look at the good stuff (the pictures) before I bother blabbing on about how to do this. Let’s work our way up to the chicken. 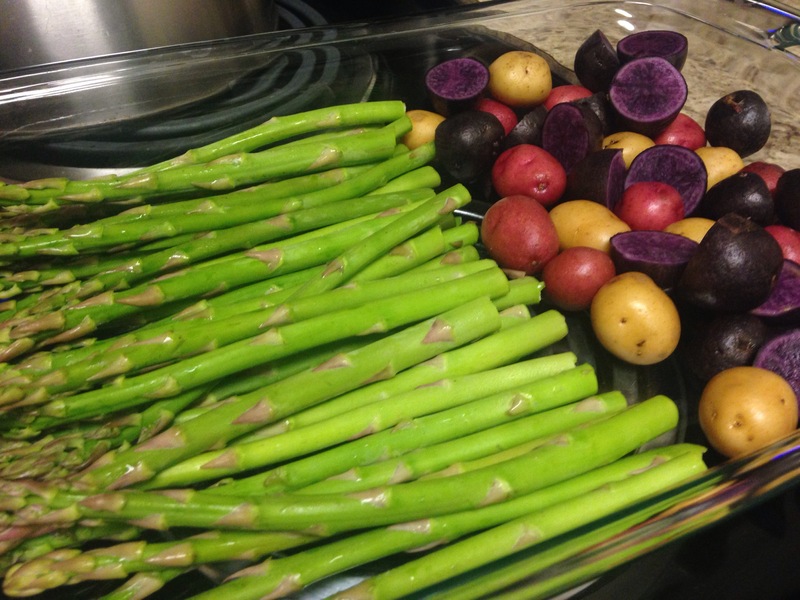 First, I added my asparagus and mini potatoes into a roasting dish. The purple potatoes were the largest ones so I cut them in half, so everything would roast evenly. 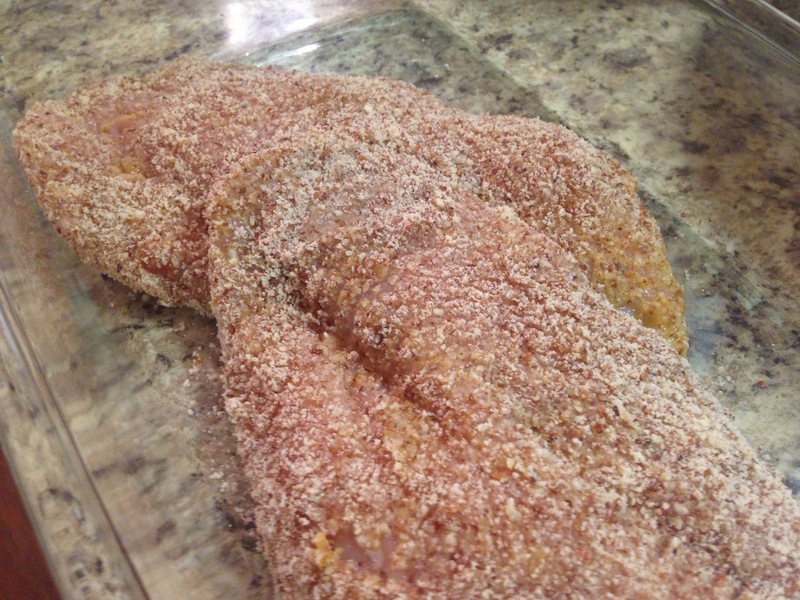 Then olive oil and salt, and 40 minutes at 375 degrees later, they’re good to go. 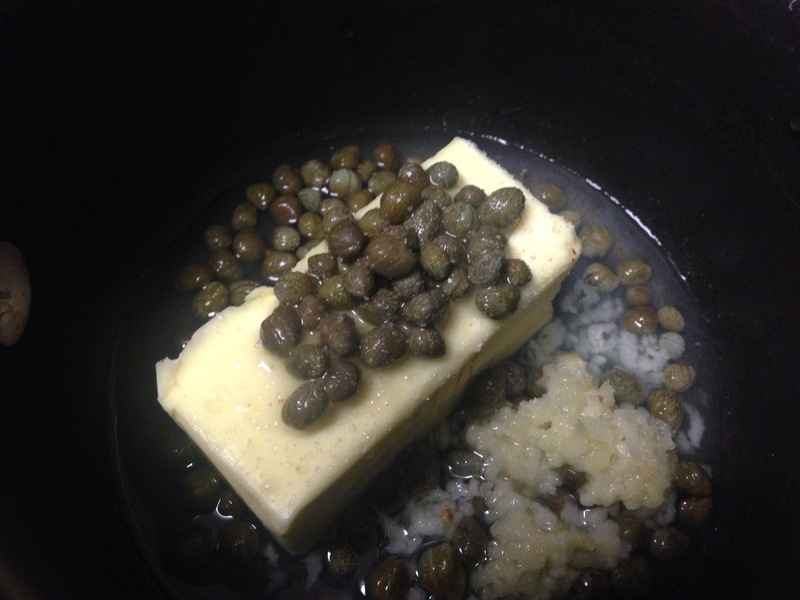 So, while they’re roasting, toss your half stick of butter, your capers, some garlic (minced), and the juice of 1/2 a lemon into a tiny pot and set it on the lowest low. [I did a whole lemon and it was too lemony for me] If together for too long the lemon does weird stuff to the butter, so exercise caution. 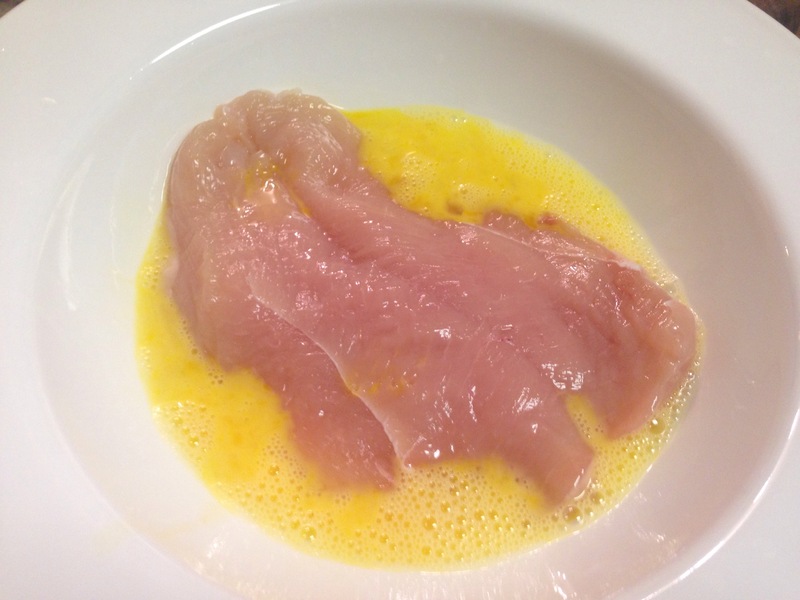 Whisk your egg with a bit of water and dredge your raw chicken through the egg wash, and then through the almond flour. 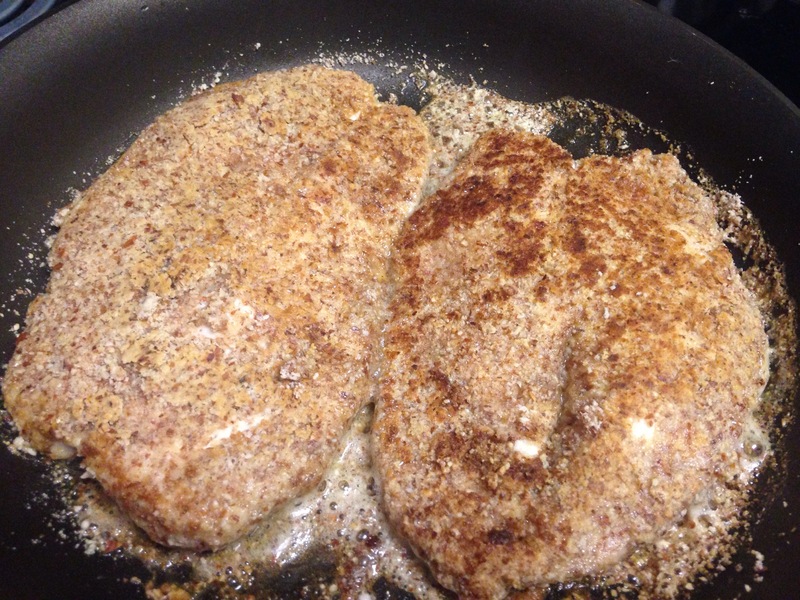 [extra points for adding salt and pepper and any other seasoning you like to the flour – on it’s own it’s not very flavorful] Then once both chicken cutlets are covered in almond flour add them to your medium-high pan with olive oil and cook all the way through. 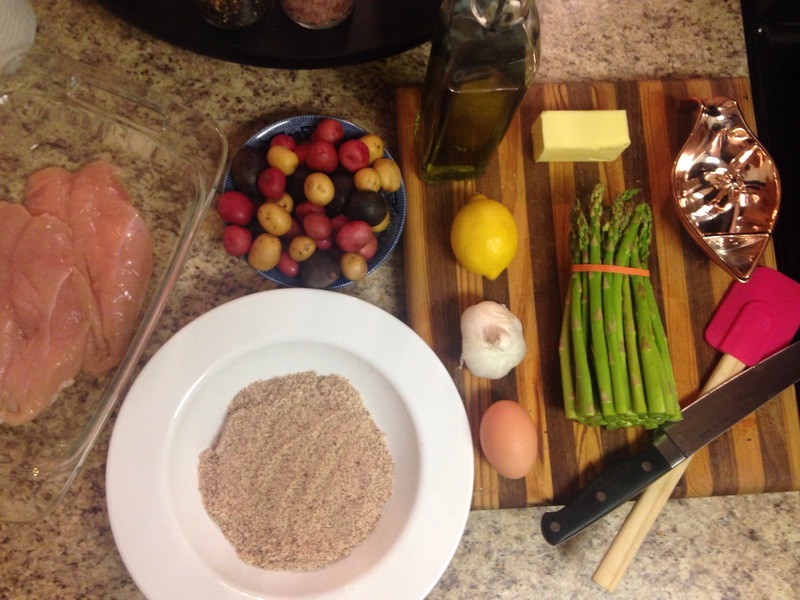 Hopefully you timed this pretty well, starting to cook your chicken when your veggies have about 15 minutes left. 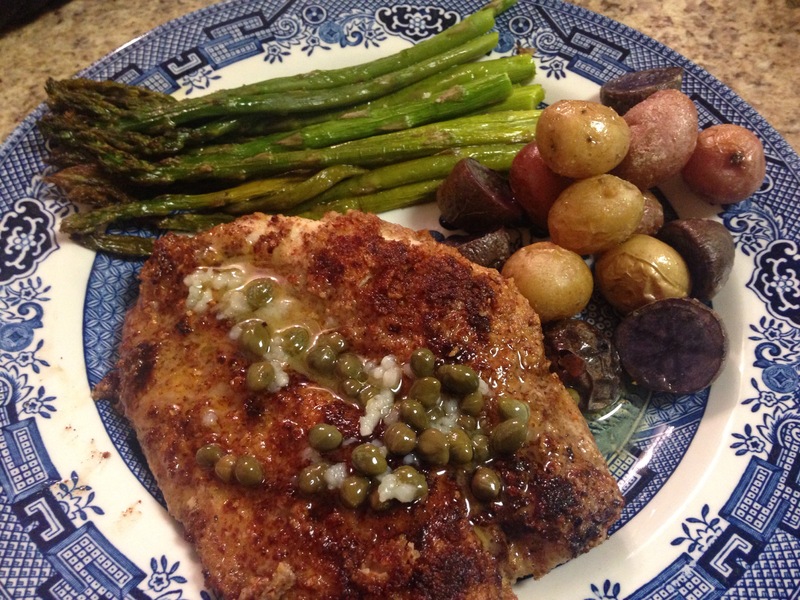 Plate the chicken, asparagus, and potatoes, then spoon your butter sauce over the chicken and serve! If you give it a try, let me know how it turns out! Happy Eating! 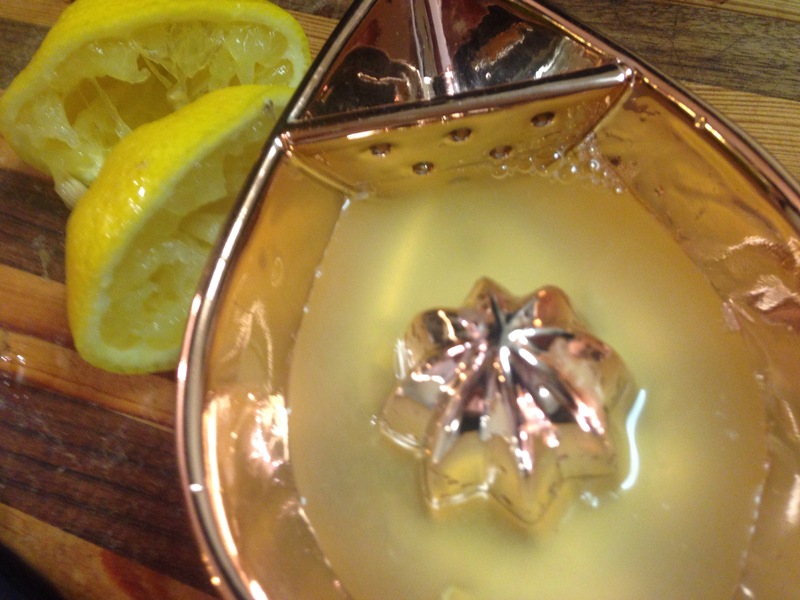 Blog post courtesy of my lovely friend, Adora Mae.